Doris has been an outspoken leader and advocate regarding digital print production, color communication, and cross-media marketing. She built her career on a solid foundation with a degree in Print Production from the Rochester Institute of Technology, arguably the best university for such studies in the world. Her leadership skills and extensive industry knowledge are well-documented throughout her career as an executive at HP Inc.®, Datacolor®, X-Rite/Pantone®, Agfa-Gevaert ®, and International Paper®. Back by popular demand, Doris joined us for our event in 2017 and we are excited to welcome her back with an updated presentation and fresh content for 2018! Joe joined Esko as an Account Manager in 2010, where he gained a great deal of knowledge around the entire Esko suite of product offerings. In 2012 he became an account executive for the Brand Owner team, servicing a large portion of the Mid-West. In 2015, Joe was promoted to Director of Brand Sales for North America, while still maintaining responsibility for a few strategic accounts. Before joining Esko, Joe was involved with operations, prepress and project management. Joe completed his MBA from Metropolitan State University in 2010 and resides in Minneapolis, MN. Micha Kemelman is an experienced marketing professional for capital-intensive multi-disciplinary industrial markets. 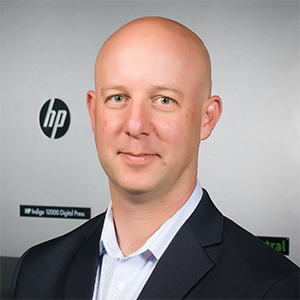 He leads the product marketing team for current and strategic post-print products at HP. Having joined HP Scitex in 2010, he led the definition and introduction of the HP Scitex HDR platform and managed some of its products from inception onwards. Previously, Micha served in various product marketing and engineering roles for inspection equipment used in various steel industries. 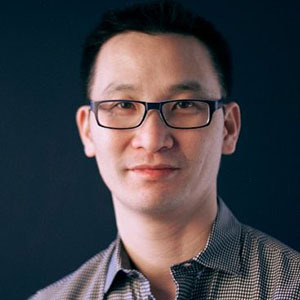 Henry uses his creativity and technical experience to engineer impactful, meaningful branded experiences. He enjoys listening to clients’ challenges and goals, internalizing them and then solving those challenges with his team using a multi-disciplined approach resulting in designed products that touch on as many of the five senses as possible. Henry studied Mechanical Engineering at Purdue University and then fell in love with design at Cornish College of Arts. Previous to States of Matter and Yiu studio, he was a partner and co-founder at Urban Influence. Prior to which, he worked at Hornall Anderson for six years, developing complete brands for clients large & small. Henry’s designs have won recognition from a number of associations and publications, including Communication Arts, Print, How, Graphis, The International Mobius Advertising Awards, and the London International Advertising Awards. He was featured in Graphic Design USA 2007 “People to Watch” Issue. 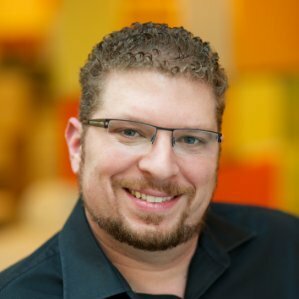 David Hess – Director of Client Engagement- Global Accounts, SGK INC.
As Director of Client Engagement for Global Accounts, David is responsible for driving client initiatives with compelling solutions via digital, advertising, marketing, design and deployment globally. 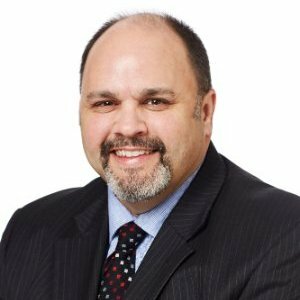 David has driven focus on business outcomes and customer success by leveraging his innovative thinking and diverse background to gain growth for SGK's clients' products and success at the shelf. 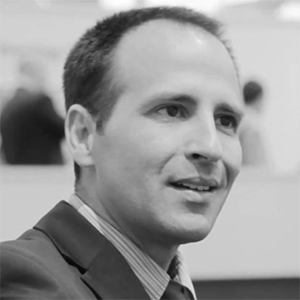 Lior brings 10 years of experience in print workflow and finishing production. Starting at HP as a product manager for production management systems, he led the definition and introduction of multiple HP SmartStream products and managed products from ideation to commercial release. He relocated from Israel to Atlanta in 2016 to expand Indigo NA Labels and Packaging ecosystem and holds the role of Category Manager for workflow and finishing partners. In 2017, Lior was promoted to role of category manager for HP GEM - HP's groundbreaking digital embellishment solutions, which he will be presenting at Packaging Experience Summit. As Branch Manager for The BoxMaker’s Seattle Region, Kristi loves helping people plan, optimize and launch successful packaging programs. She has spent the majority of her career in sales gaining experience in packaging design, supply chain management, and process development. While sales management is her primary job function by day, Kristi also enjoys spending time with her husband and skiing in the Cascades. 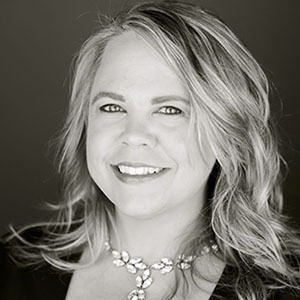 Kristi will be moderating our POP and Retail Packaging Discussion panel. Hear from our expert panelists on how they’ve leveraged the value of digital print. Our expert panel will consist of retail, brand and packaging execution specialists followed by a Q&A to ask your burning questions. Sahar graduated from Whittier College with a Business degree, double majoring in Marketing and International Business. She started her career at Bay Cities where she assisted in creating a fresh, new marketing department, a first for the company. 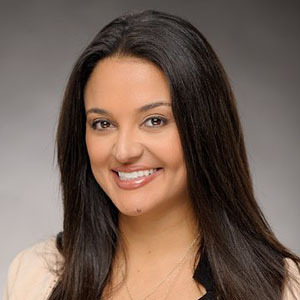 Her expertise in marketing led her to sales, where she handled multiple national accounts, opening new markets for Bay Cities such as the Electronic Retailers Association (ERA). Sahar now serves on the Executive Team and holds the title Director of Sales, Point-of-Purchase and Sustainable Development. She has presented around the country on topics including sustainability, color effects with displays in the marketplace, and fundamentals of performance packaging. We are pleased to have Sahar as a participant on our POP and Retail Packaging Discussion panel. Brian has 20 years of design, brand and packaging industry experience working in the food and technology sectors at both agency and corporate environments. Brian’s been at Microsoft for 13 years and has been vital to the creation and localization of artwork, print and packaging for some of the company’s highest-profile product launches. He’s authored manufacturing specifications and process controls to integrate new technologies and capabilities into Microsoft’s supply chain. Brian is currently leading the company’s initiative around marketing requirements and the logistics of implementing hyper-customization across a worldwide supply chain. We are pleased to have Brian as a participant on our POP and Retail Packaging Discussion panel. Packaging Experience Summit, an inspired packaging conference focused on digital production, will take place in January 2018. We invite you to join us to learn directly from industry leaders how to leverage the value of digital print and production. Don’t miss out on this unique opportunity. Register today!